With the rise of digital currency, teaching kids the value of money arguably becomes harder due to the lack of tangible objects. Back in 2009, we wrote about an interactive piggy bank, designed to help educate children. Now, New Zealand’s ASB Bank has created an upgrade called Clever Kash. 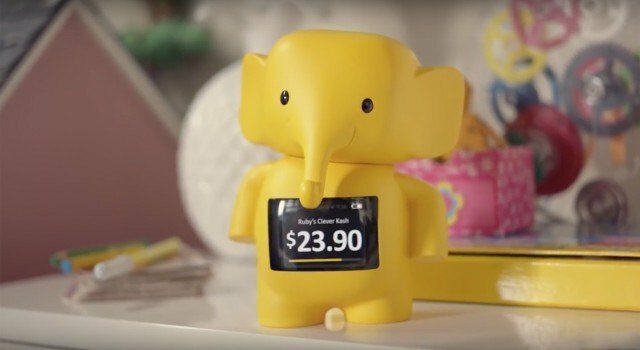 The elephant-shaped coin depository lets parents “swipe” virtual money into it via a companion app, so children can see on a digital screen the amount added to their current savings. This way, the child can keep track of their progress and work towards their saving goals, all the while learning the value of money. It also caters to the lack of real money adults carry around nowadays, and an often heartbreakingly forgotten ‘IOU’. The patent pending Clever Kash bridges the gap between virtual and physical currency by providing a perceivable medium for kids to interact with. Are there other ways to make sure children are receiving tangible rewards in an increasingly virtual world? The post E-piggy bank gives kids tangible rewards with virtual currency appeared first on Springwise.